Due to the design, the surface to which the unit will adhere does not have to be smooth and flat. 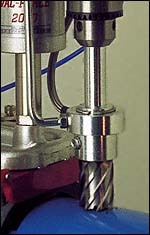 Certain surface imperfections causing vacuum losses are tolerated (eg. 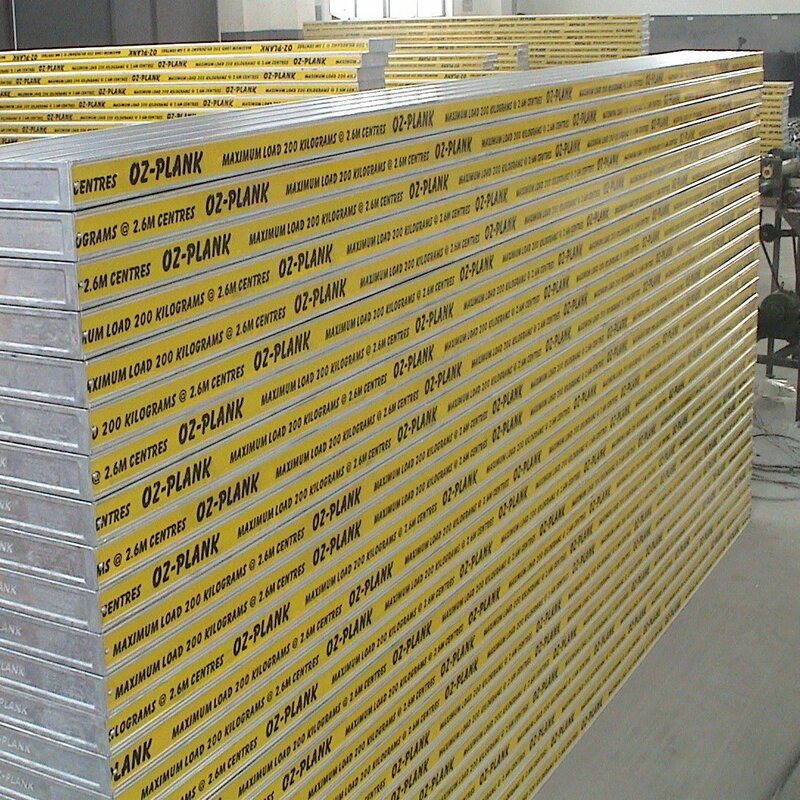 aluminium tread-plate), due to constant vacuum generation. 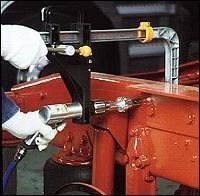 This standard unit will also lock to curved surfaces down to approximately 600mm diameter, but by using our curved surface adaptor, we can lock on to pipes, tubes etc. down to 50mm diameter. Weighing only approximately 4.5kg the VAC-FORCE 2000 has instant advantages over magnetic based drills which weigh 13.0kg plus and are restricted to ferrous materials. 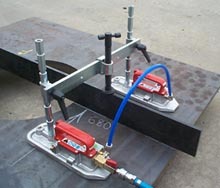 Its lightweight construction enhances its portability, saving time in relocating when cutting multiple holes. Safety cables are not required when operating at heights. The hovercraft effect when the release button is pressed makes centre pop location easy. 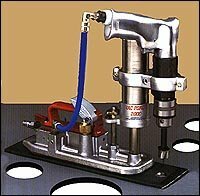 Vac-Force 2000 is a lightweight portable hole cutting machine. 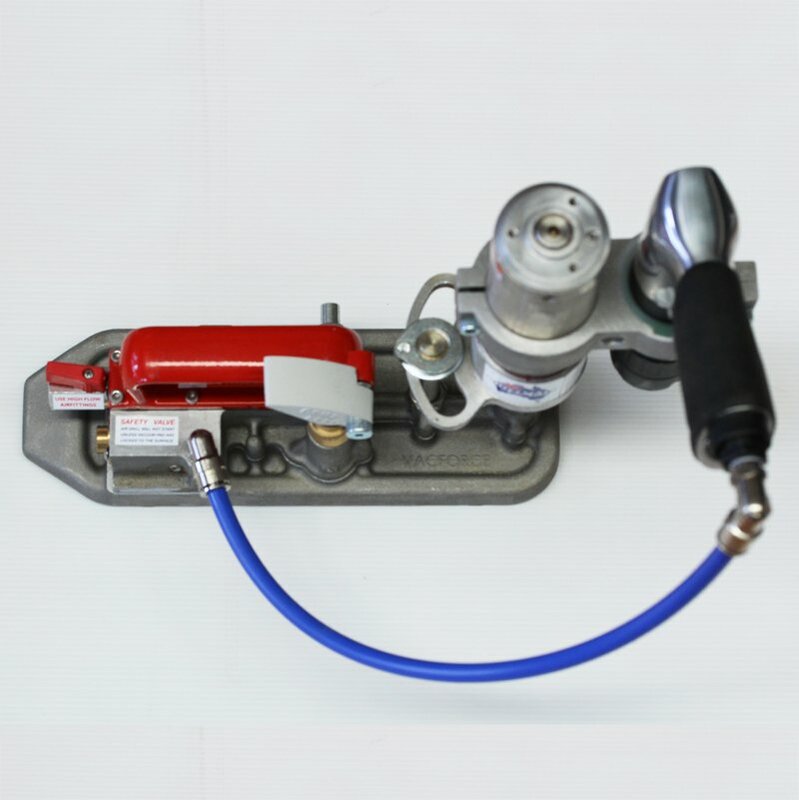 This unit consists of a vacuum base to clamp to the surface of the material and an air feed cylinder to push the cutter through without any effort by the operator. 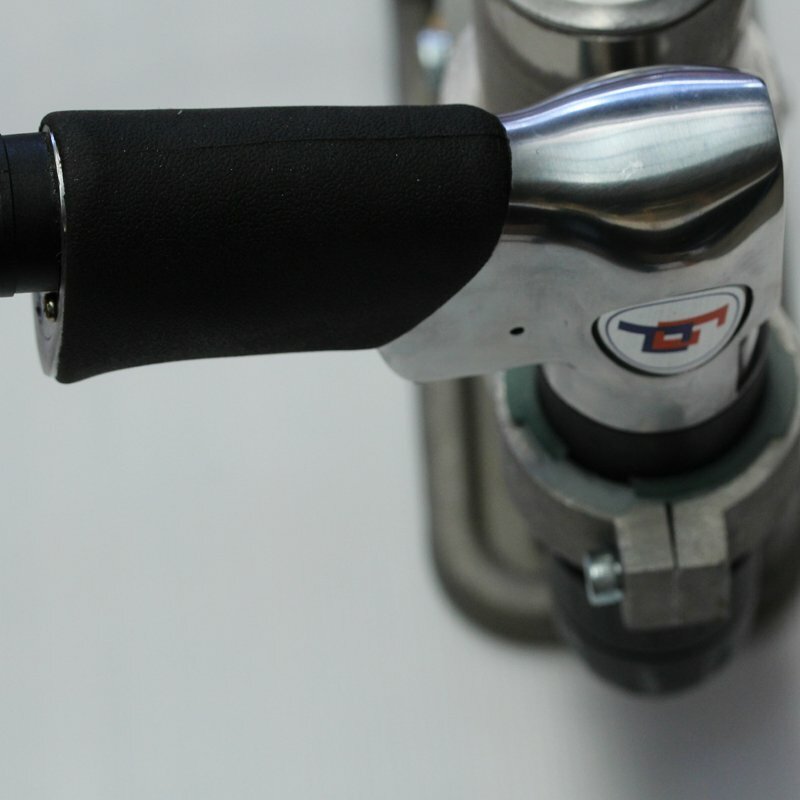 It also incorporates a safety valve which will not allow air to be supplied to the drill motor unless it is locked to the surface.